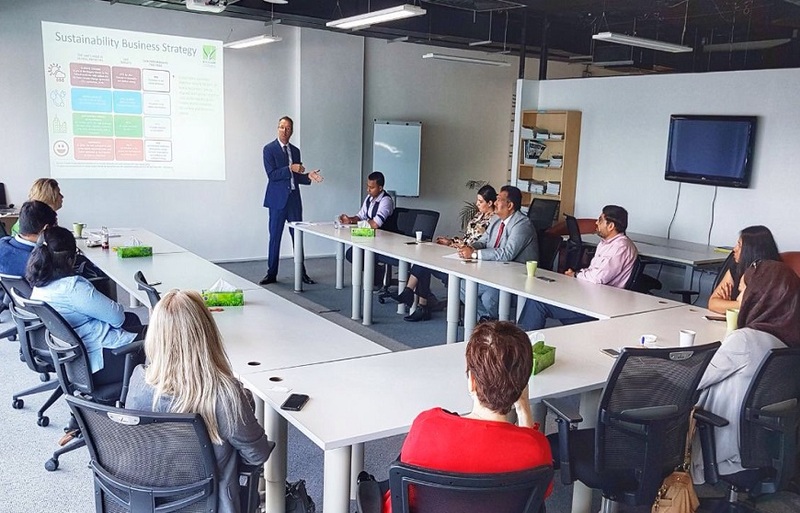 Last week Marcos Bish, Managing Director, Summertown Interiors facilitated the monthly technical workshop for Emirates Green Building Council (EGBC) on the topic of “Sustainability in the Workplace”. The workshop outlined a holistic approach of meeting sustainability in the workplace and underlined that sustainable business practice can minimize environmental impact, deliver cost savings, and maximise employees’ sense of wellbeing and happiness. The UAE through the UAE Vision 2021, and Green Agenda 2030 has set out clear objectives for a future sustainable economy. Environmentally sustainable workplace practice should be part of every business, big or small – being aligned with global and the UAE sustainability goals makes environmental, corporate and economic sense. Sustainability is fundamental to Summertown’s business strategy and we are committed to raising awareness of sustainability practices, and developing knowledge though the exchange of ideas with sustainability focused groups and associations like EGBC.